What Is Causing Your Heavy Periods? Heavy periods can be incredibly inconvenient, but most women do not seek medical care for this issue. Instead, they just suffer in silence. Often, we can determine the cause and help to reduce blood flow to a more manageable level. The only way to find out why this is happening and what can be done about it is to visit a doctor for an examination. In our office, we will perform an exam, ask questions about medications and may also run tests or conduct an ultrasound. These can be cause for concern for women of any age. However, if a woman who has already gone through menopause begins to display any of these symptoms, it is important to call us right away. Also, a woman who is soaking through a pad an hour should contact a doctor for immediate help. If the bleeding is also accompanied by shortness of breath or feeling lightheaded, it could be a medical emergency that requires a trip to an urgent care facility. These are all issues that require medical intervention to correct or adjust in order to reduce the heavy periods. They will not simply go away or get better on their own, so ignoring the heavy bleeding will only prolong a woman's discomfort and frustration. Fortunately, we can help. How many pads are needed per day or per hour? Are there blood clots, and if so, how many and how often? Are there any accompanying symptoms such as dizziness, lightheadedness or fatigue? When did the heavy bleeding start? Is there any pain, where is it located and how severe is it? 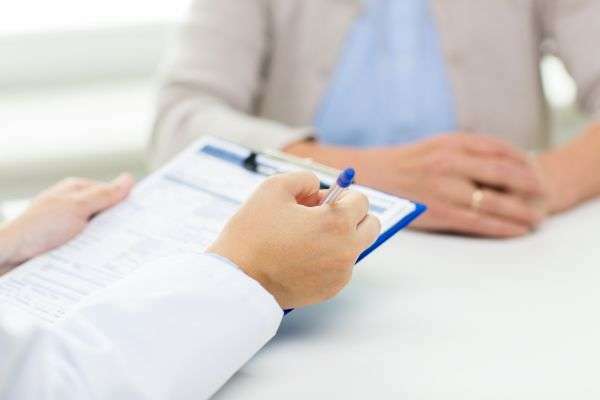 Be prepared to answer these questions with as much detail as possible, since the answers will help the caregivers to identify what tests may be necessary to diagnose the cause of the heavy bleeding. In our office, we help women who are suffering from a variety of health conditions, including heavy periods. This condition can be uncomfortable and alarming, but fortunately, we provide treatments that can help. Visit our office to discuss treatment options so you can get relief as soon as possible. For more information or to schedule an appointment with Camilla L. Marquez, MD, request an appointment in our Fresno office here: https://fresnoobgyn.com. Or call us at (559) 424-1180.